Our salsa is made with fresh tomatoes, pickled jalapenos, cayenne pepper, "other spices", and a touch of crushed cilantro. It has a thickness that stays on a tortilla chip. The thickness is something we are proud of. Not chunky, but thick. Thib's is considered to have a medium heat level. 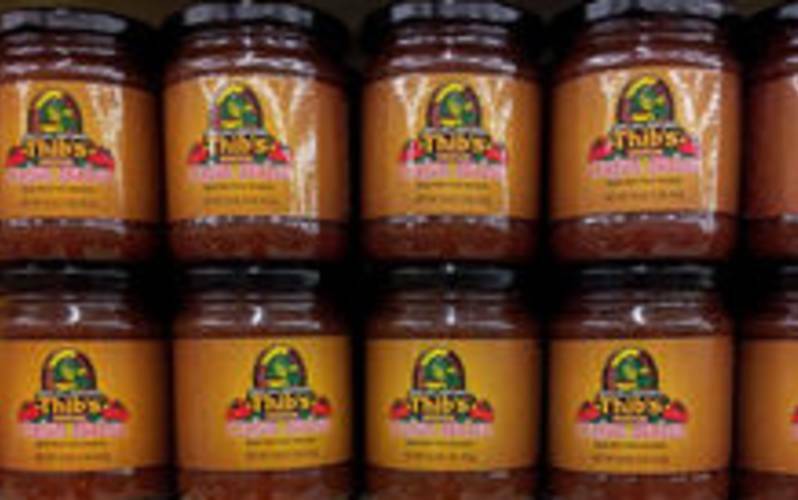 Like most salsas, Thib's has no preservatives. It has a 2 year shelf life until opened. Which then it needs to be refrigerated. Like the bottler said, "it is like putting fresh fruit in a jar". Thib's is great with chips, but can be used on eggs, enchiladas, or tacos. It can be used for cooking in place of tomato sauce or other tomato products. Open a jar today and take a smell of the tomatoes and spices. You won't be disappointed with the taste either. ENJOY!